From bread drawings to zero gravity, there's no telling where OK Go will take their next music video project. Simply calling their latest clip "colourful" would be an understatement, with a new video for "The One Moment" featuring plenty of paint balloons, exploding guitars, and all the colours of the rainbow. Directed by Damian Kulash, the video sees the band trigger a wealth of explosive, colourful events in 4.2 seconds, playing them back in slow motion. Naturally, it makes for a stunning sight. The song "The One Moment" is a celebration of (and a prayer for) those moments in life when we are most alive. Humans are not equipped to understand our own temporariness; It will never stop being deeply beautiful, deeply confusing, and deeply sad that our lives and our world are so fleeting. We have only these few moments. Luckily, among them there are a few that really matter, and it's our job to find them. 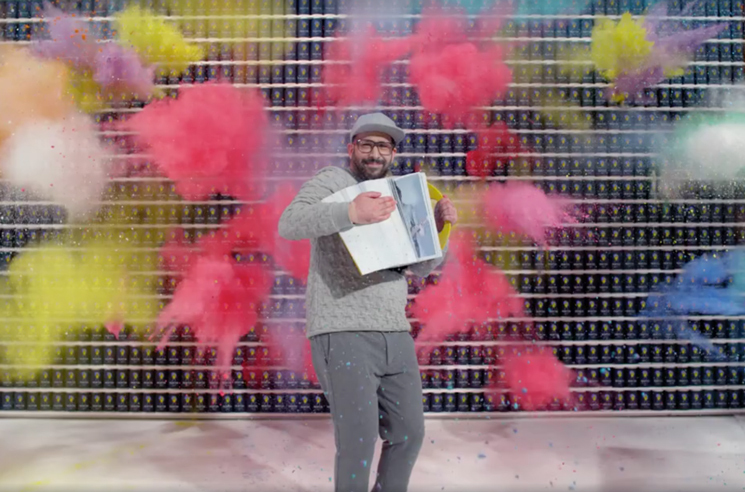 "The One Movement" comes from OK Go's 2014 full-length Hungry Ghosts. Read more on the video's creation here.